Not to be left out without a piece of the tablet game, Sony is the latest company to launch its own tablets. Both of Sony’s new tablets promise the perfect combination of hardware, content and network with seamless usability for a high-quality, engaging entertainment experience. Sony is currently developing two tablets including the S1 (codename) which is optimized for rich media entertainment and S2 (codename) which is ideal for mobile communication and entertainment. Both tablets will become available this fall. 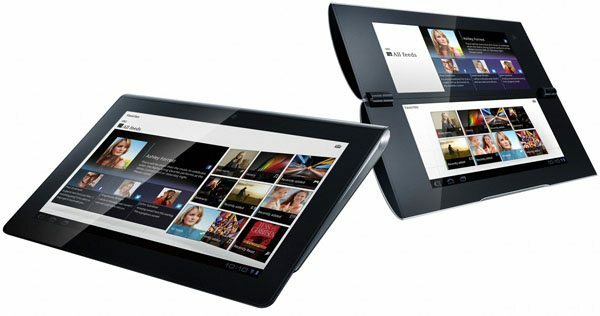 The Sony tablets are equipped with Android 3.0 which is designed for devices with larger screen sizes, particularly tablets. Both models are WiFi and WAN (3G/4G) compatible and users can not only browse the internet or check e-mail but they can also smoothly access digital content including videos, games and books through Sony’s premium network services and more, on-the-go at any time. • Through Qriocity music and video services, users can enjoy rich video and music content. Also, through PlayStation Suite, users can immerse themselves in high quality first generation PlayStation titles. Additionally, users can easily download ebook content from Reader Store and use both tablets as digital reading devices. The integration with various services allows users to take their entertainment experiences on-the-go. • Through the tablets, users can control home entertainment devices as well as enjoy content in new ways. S1 uses infrared technology and works as universal remote controls for a variety of AV devices starting with Sony’s BRAVIA devices. Users can perform functions like turning on their TVs, changing the channel and adjusting the volume. Also, through DLNA functionality on the tablets, users can “throw” personal content to large screen televisions or music to wireless speakers.